My friend Jerry Brito is one of the best-connected and most insightful observers of the Internet I know, so when he starts talking up an Internet trend, I pay attention. But after reading his case for Bitcoin, a new digital currency, I remain a skeptic. The web has also seen all-purpose digital currencies, from defunct dot-com bubble start-ups Flooz and Beenz, to the slightly more successful e-gold. Unlike cash, however, digital currencies to date have had a third party intermediary monitoring transactions. That’s because digital cash is different from physical cash in one very important way: If I hand you a 100 euro bill, I no longer have it. You can’t be as sure of that, however, when the cash is just 1’s and 0’s. So it’s been necessary to have a trusted intermediary deduct the amount from the payer’s account, and add it to the payee’s. Bitcoin is the first online currency to solve the so-called “double spending” problem without resorting to a third-party intermediary. The key is distributing the database of transactions across a peer-to-peer network. This allows a record to be kept of all transfers, so the same cash can’t be spent twice–because it’s distributed (a lot like BitTorrent), there’s no central authority. This makes digital Bitcoins like cash dollars or euros: Hand them over directly to a payee, and you don’t have them anymore, all without the help of a third party. It’s an intriguing concept, but the fundamental question about any currency is whether its value will be stable over time. I’ll discuss why this seems dubious in a series of two posts. Today I’ll focus on the demand side; tomorrow I’ll consider claims that the supply of Bitcoins will be more stable than traditional currencies. The fundamental demand-side problem is that it’s not clear why anyone would want Bitcoins—which are, after all, just entries in a database—in the first place. The obvious retort is that the same objection could be made of any fiat money system. The value of a fiat currency like the dollar is a matter of social convention: it’s valuable to me because other people will accept it as payment for stuff I want to buy. Theoretically, if you persuaded everyone that dollars were worthless, this would become a self-fulfilling prophesy. Conversely (the argument goes) all we have to do to make Bitcoins a “real” currency is to persuade some people that it’s valuable. And apparently, the creators of Bitoin have already succeeded in this task. But dollars have at least two advantages over Bitcoins. The obvious difference is that the United States government requires taxes to be paid in US dollars. Since federal taxes represent a significant fraction of most peoples’ income, they will continue to demand dollars even if they prefer another currency for day-to-day transactions. The more subtle difference has to do with network effects and transaction costs. Dollars underpin the American economy in essentially the same way that the TCP/IP protocol underpins the Internet. The original choice of a medium of exchange was arbitrary, but people needed to pick something and once the dollar was chosen it acquired tremendous momentum. Convincing Americans to switch to a currency other than the dollar is roughly as futile as convincing the Internet to switch to a protocol other than TCP/IP, and for the same reasons. First, people have made tremendous investment—emotional, financial, and technological—in dollars. Millions of vending machines and cash registers are designed to work with dollar-denominated coins and bills. People expect to see dollar-denominated prices in stores, and they have an intuitive sense for what’s a reasonable dollar-denominated price for a gallon of gas or a dozen eggs. They have dollar-denominated bank accounts, get dollar-denominated paychecks, and expect to retire on dollar-denominated pensions. It’s really hard to persuade Americans to use something else. Second, currencies are subject to massive network effects. It’s much more convenient to carry a currency that 99.9 percent of people accept than the currency that 0.1 percent will take. People who hold obscure currencies have to waste time and money converting it to a more popular currency before they can perform everyday transactions. And people who conduct business in multiple currencies not only have to perform a lot of extra math, they also have to worry about exchange rate risk—the risk that a change in exchange rate will suddenly make a previously profitable business model suddenly unprofitable. Together these factors make the demand for dollars “sticky.” It’s hard to see any analogous stickiness in the demand for Bitcoins. As far as I can tell, there are few, if any, markets where Bitcoin transactions are more convenient than traditional fiat currency transactions. I’ve read some claims that Bitcoin is popular in the drug trade and other illicit markets, where the lack of intermediaries has obvious advantages. It’s hard to judge whether these claims are true, or whether such markets are substantial enough to support a new global currency, but I have my doubts. Illicit uses aside, the demand for Bitcoins seems to be driven by a combination of speculation and ideological enthusiasm. And we have a word for an asset whose value is driven by irrational exuberance: a bubble. I predict this one will pop once the novelty wears off. is that some idiot putting up thier account number ? What does that tell you? do you know any intelligent person in existance in this world who would plant a Real bank account muber up on the WEB . Hey watch the movie IDOCRACY, cause TAG you it. 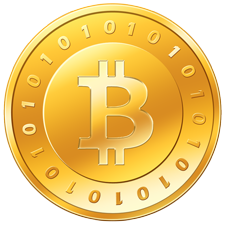 Bitcoins could potentially retain value the same way any other ‘collector’s item’ will retain value. I can think of a scenario where some crazy person will want to buy up ALL THEEE BITCOINS (especially if the bubble bursts, and they become cheap enough to afford to own all of them) and will be willing to pay real world money for them. Why are collector’s items valuable at all? Why is gold valuable at all? Is it REALLY because of it’s beauty? I tend to believe that it is because of it’s rarity. And eventually, provided that the network remains operational, Bitcoins will become a scarce commodity. Worst case scenario (for me): a fat bitcoin wallet, useless, other than nostalgia. Here’s the deal with bitcoins. It has to grow evenly with supply, demand, and network support. Customers have got to enjoy using them. Business have to be able or better yet, want to take them, and network supports has got to have developed working code to build the bridge of the cycle. I’m seeing is lack of development. Big speculation and lot of people talking with out using facts and statistics. There is big opportunity to support bitcoin development. The currency is there now that transaction process have to be designed and easy for the masses to build. BitCoin does not have this. Remember economies jumping up all over gold mining is the US? It wasn’t just Gold Mining that Burst up. Shuvle, cart, railroads, and other business in these production fields prospered as well. Supply and demand always has speculation… that’s humans way of getting a quick buck.. The major question is would we want this? -Really we have to ask ourselves that question. To me personally it answers to a lot of yes and a few no’s..
Security it the biggest issue and can be seen extremely from both sides with very valid points. 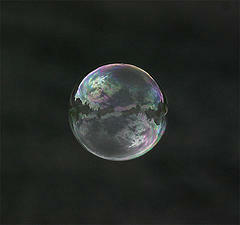 Science is starting to look at the universe as bubbles. Multiverses rather than universes… Naturally it seems plausible. Rise and Fall, boom to burst. When we start to look at it as answers to world economics? This couldn’t have came at a better time. The old is dying. The new is arising. We will have places of struggle but we are humans building and creating. Money is an art and science. This is a totally US-centric view. The relevance of America and its dollar is waning. In the growing parts of the world, Bitcoin is a very good fit for how people bank and spend. For example, is some parts of Africa and Southeast Asia, up to 80% of payments are by cellphone rather than by colored paper. The author needs to get out more often. This totally fails to look beyond the borders of the US or the time you live in. Currencies have changed many times before, and a Europe-wide change from national currencies to the Euro is a comprable change in very recent history. I’m not making that as an argument that bitcoin could be adopted as a national currency in the US, but it’s certainly a short sighted and incredible argument against it. I have to disagree with your analysis because you almost entierly leave out the unique properties of Bitcoins. Sure if someone made some new currency similar to dollars which existed in coins and paper, who would care for it? In those cases, your point about network effect etc is perfectly valid. Here is why I think Bitcoins has a future. When I lived in Holland I used to eletronic cash found on cards called Chipknip. I loved it. It was very practical to use since there was no fees for transactions, no PIN code etc. A downside of them was that unlike real cash I could not easily exchange it with friends. I could not check my current balance without going to a special machine. There is no way to get to the money on the card if you are abroad. Bitcoin solves a lot of these problems: you can keep them on a phone and check your balance at any time. You can exchange them with anybody you meet on the street, and in principle they work in any country. I think people will assign real value to bitcoins because of their unique properties. After all gold gets value for much the same reasons. If it was only for its industrial and decorative uses I do not think it would be that valuable. Let us not forget shady businesses such as adult entertainment, drugs etc, which will find the currency very attractive. For them it will be too usefull to give up on. This will create a floor for how far down the value can fall. 2. BTC are a good alt currency to keep some of your emergency cash in. At a time when every major currency seems to be engaging in competitive devaluation, BTC will not be moving along with the herd over the monetary devaluation cliff. At time of writing The BTC/USD rate is 139. It’s currently my best performing investment, with a cost measured in videocard time on a computer I leave on 24/7 anyway.